Vernon H. Coker was born Oct. 25, 1935 to Harrell and Eathel Herring Coker. He went to be with his beloved Savior June 26, 2018. He is now celebrating with his father and mother and looks forward to having with him his beautiful wife of 61 years, Mary M. Philips Coker; his "favorite" daughter and son-in-law, Nelwyn Wirges and (pastor Robert); six grandchildren, "stars in his crown"; Robert Vernon Wirges, Stephen Wirges (Amy), Melissa Wirges, Rachel Wirges-Lott (Samuel), Laura Wirges, and Stephanie Jennings (Ben); and seven great-grandchildren, Sage and Blaine Wirges, Diania Russell, Cristofori Lott, Amy Joy, Marie and Benjamin Jennings; siblings, Norma Carpenter, Danny Coker (Jackie), and Wilma Fiser (Danny); and many other family and friends whom he loved very much. At an early age, Vernon Coker turned from sin and trusted in Christ's death and resurrection. From then on he lived for the Lord in all things he did. He diligently served in both the U.S. Navy and Airforce for 8 years where he worked in coding and navigation. He was a faithful member of North Little Rock Missionary Baptist Church where he was both a teacher and organ player. He worked at the Little Rock Post Office for 37 years. Second only to His Lord, the thing he loved and delighted in most was his family. He loved to go to church, church events, cookouts, holiday events, bike riding (and teaching his grandchildren to ride), playing and working on his computer, playing musical instruments and singing, and Wye Mountain Picture Day which he enjoyed for many years. He always carried a camera and extras for his grandchildren. 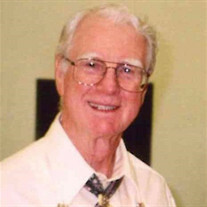 Vernon H. Coker leaves behind and took with him his testimony of being a faithful servant of the Lord. This is a valuable treasure to his family and an eternal reward for him.